In 1967, The Lincoln School was established. 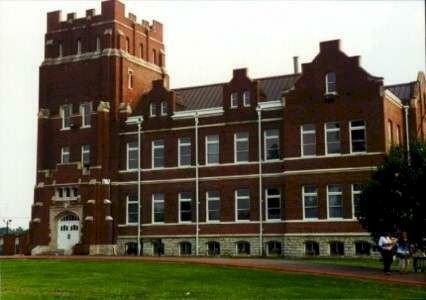 This was an experimental school, funded by the State of Kentucky, operated by the University of Kentucky. The Lincoln School was the first of its kind in the United States. The premise was to have a nurturing educational environment for gifted but economically deprived students. It was a unique venture and ahead of it's time. Considering that the school was operated in a state that had traditionally been limited in the educational field, it was truly an exceptional school. The faculty and staff were a diverse group selected from applicants all over the world. Some were experienced teachers, for some Lincoln was their first teaching position. All were knowledgeable, sincere and energetic. In reality, most of the faculty learned as much from their students as the students learned from them. Over the course of three years, approximately 140 students attended The Lincoln School. For various reasons, some left early. The maximum number of students on campus at any one time was around 104. This made for extremely small classes, thus more individual attention. This was a very diverse student population. Some were black, some were white, one was of Asian decent. Some were from inner city areas, some were from the mountains of Eastern Kentucky. All had two things in common; all were poor and all were gifted. In an era where racial conflict was rampant, these students lived in near racial harmony. Laughing together, crying together, learning together and forming a bond that would prove to last a lifetime. The school closed in 1970 due to political and economic pressure.